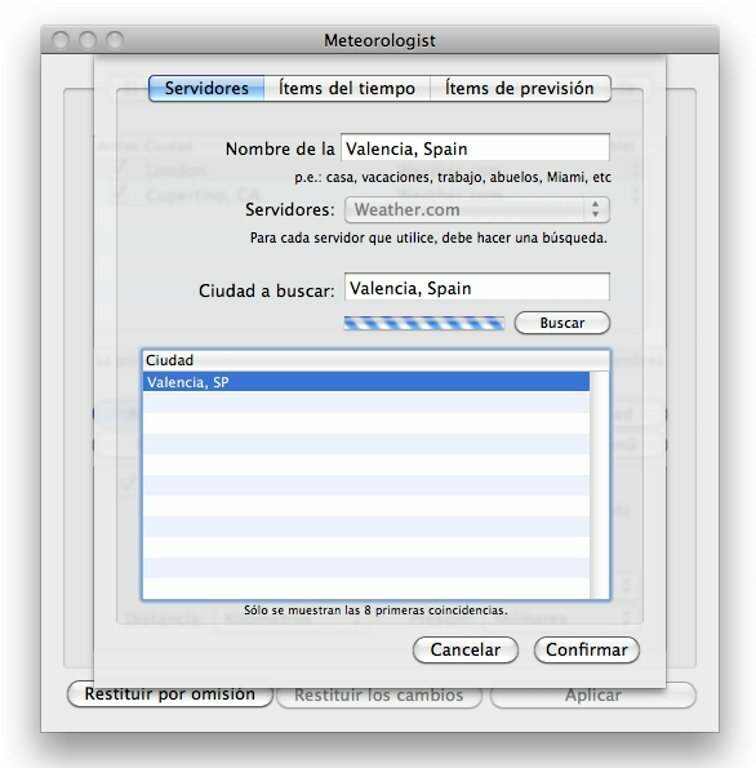 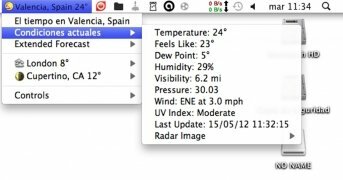 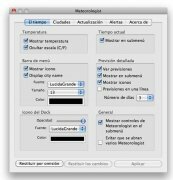 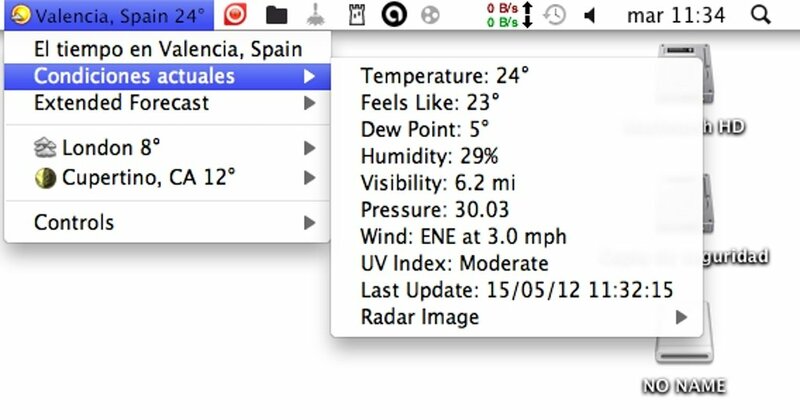 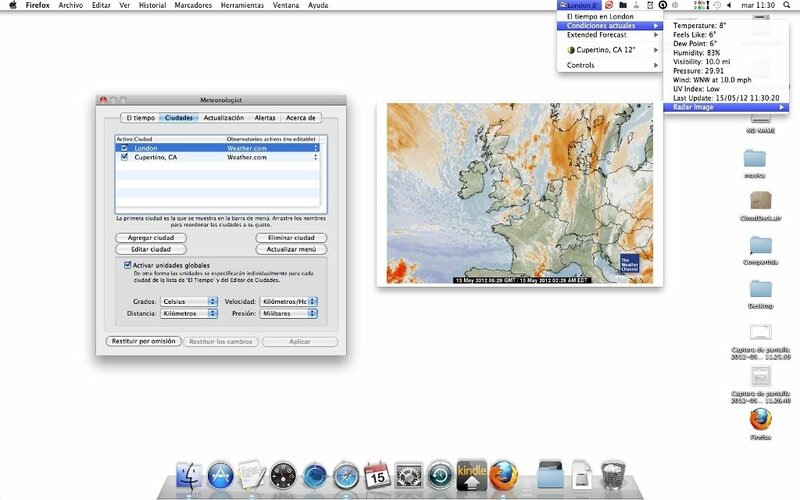 When it comes to preparing a trip or simply thinking on what to put on before going out it can come in very handy to know the weather forecast, and to be able to view it on your Mac's screen nothing better than Meteorologist. 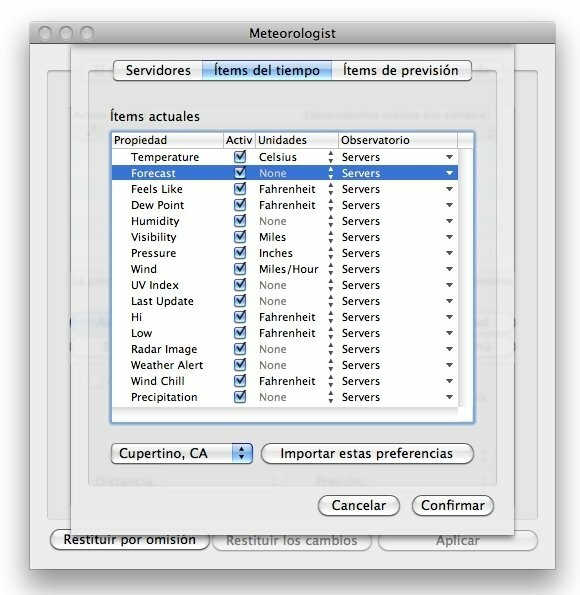 When you install Meteorologist the user will only have to add the cities that he's interested in keeping track of them in the program's preference menu to be able to view the weather forecast for each of the select cities in an instant. 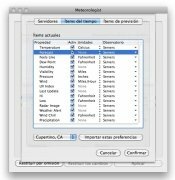 Furthermore, Meteorologist allows to view a radar capture of the area near the selected city, that will allow the user to see the conditions in the nearby area, as well as allowing to view the weather forecast for the next three days. 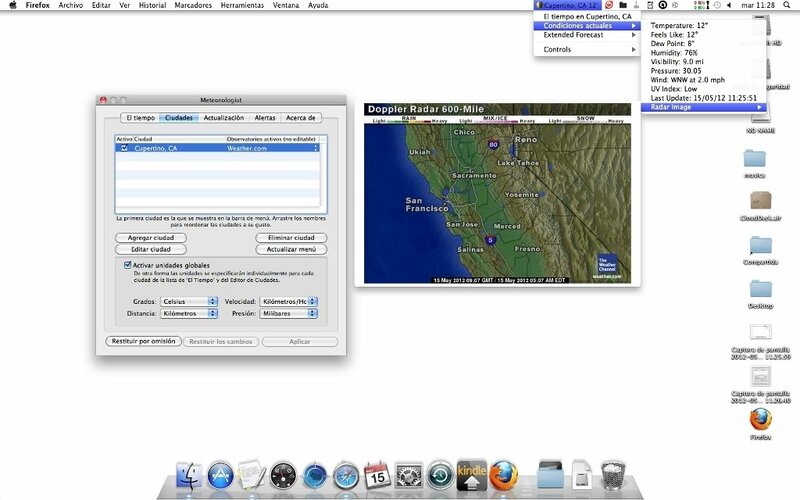 Download Meteorologist for free to know at all times the weather forecast. 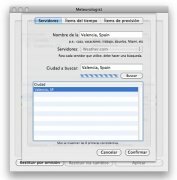 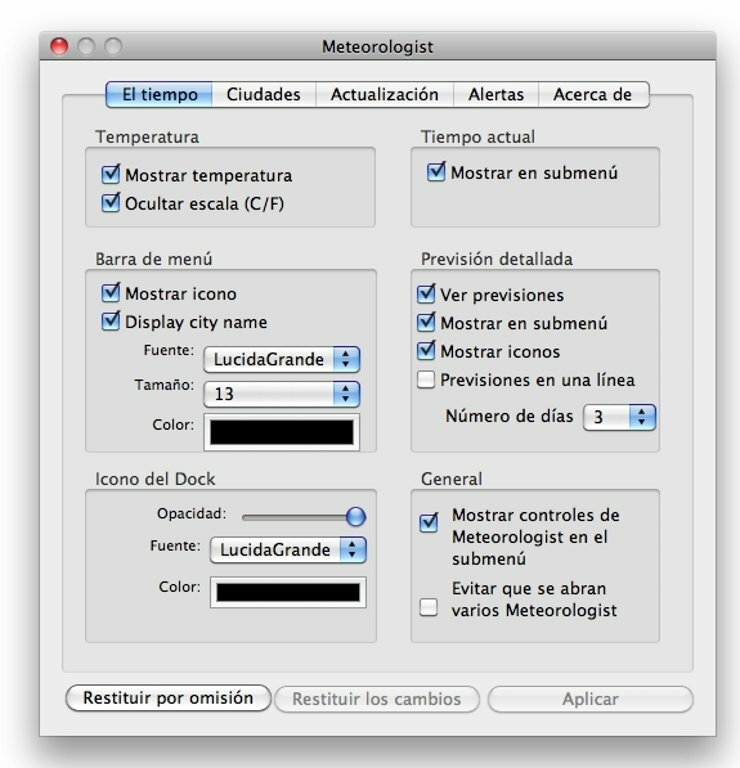 Some of the settings may be in Spanish.